Emerging in London in the mid 1990s under the pseudonym Disinformation, Joe Banks pioneered creative uses of electromagnetic (radio) noise radiated by live mains electricity, lightning, magnetic storms, high­-voltage plasma discharges, industrial, IT and laboratory hardware, railway and metro systems, and the sun. From the beginning, Disinformation’s agenda was strongly driven by research into fields including military research & development, space physics, and psychology of perception and illusion. While other young artists were subscribing to Artforum, Joe was devouring journals on defence electronics and communications psychology. 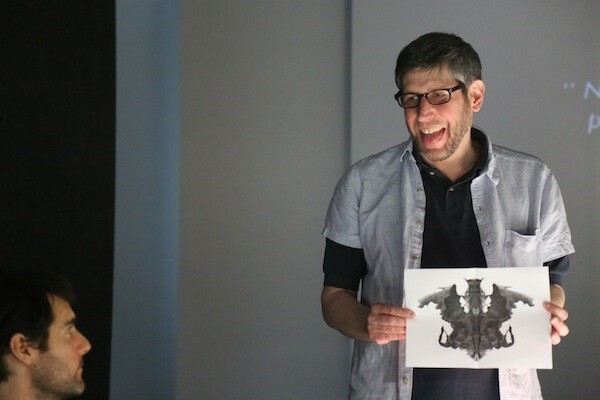 In 2012 he published the book Rorschach Audio: Art & Illusion for Sound exploring the relation between techniques of recording and mechanisms of perception, through figures as diverse as parapsychologist Konstantīns Raudive, artist Jean Cocteau, and the art historian and wartime intelligence eavesdropper E.H. Gombrich. Joe lives in London, near the set of traffic lights which inspired physicist Leo Szilard to conceive the theory of the thermonuclear chain reaction.